Cooling racks aren't just for baking. 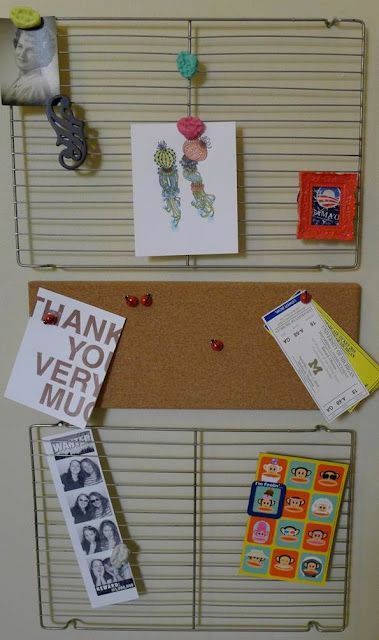 These cheap wire racks can be bought in bulk from dollar stores and transformed into any number of organizational tools or decorative objects. Although they're perfect for use in the kitchen, these versatile objects can be used to hold, store and organize different things all around the house. Whether you need a place to hang your tie, earrings, or write memos to your significant other, you'll find some inspiration in the projects below. A kitchen without proper spice storage can be overwhelming. No one likes to search through tons of small plastic containers to find the oregano 10 minutes later. 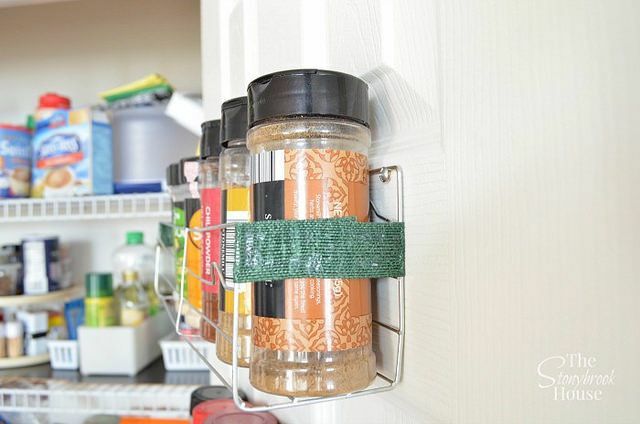 Keep your spices and your kitchen organized by visiting Stonybrook House and reading the full tutorial on how to make this DIY spice rack. No one has time to untangle a pile of earrings in the morning looking for the lost match to the pair you want to wear. 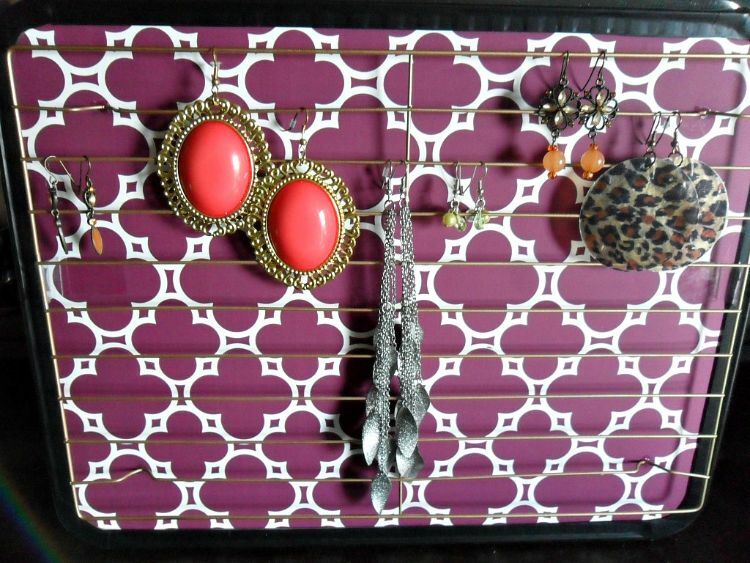 With this simple earring rack, you'll never have to dig through a jewelry box again. Read more by visiting Home for4 Sweet Home. 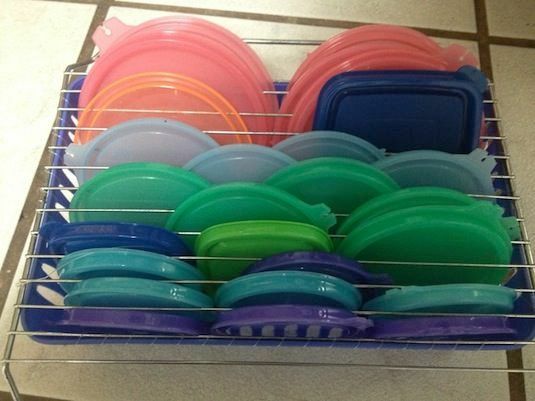 Searching for your lost Tupperware lid is one of the biggest mysteries in life. Where could they all possibly end up? Make packing lunches 100 percent easier by using a cooling rack to store your lids. This amazing tutorial by How Sweet It Is re-creates a Crate & Barrel style wire basket for just a few bucks. 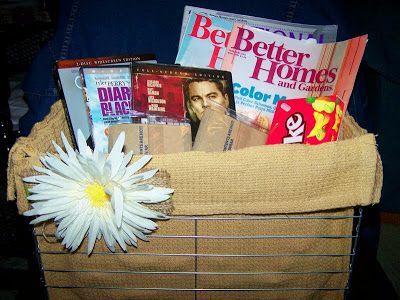 While name brand baskets can cost up to $30 dollars, this basket is cheap and easy to make! 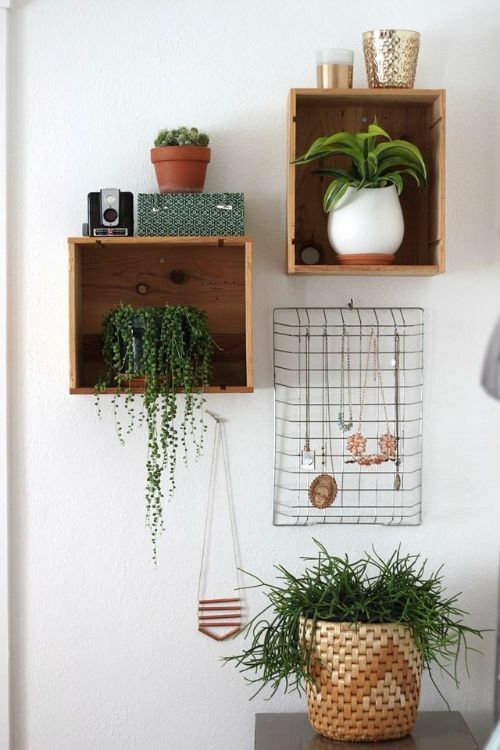 Wire racks are perfect storage solutions for minimalists. 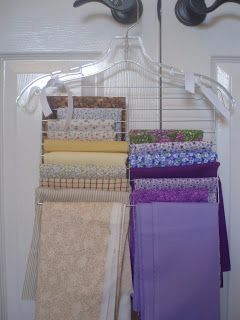 Add a rack in your room to complete an adorable wall display such as this. You can then use it for jewelry, notes, photos, etc. This project is similar to #2 but on a much larger scale. If you have more than a few pair of earrings, this is the solution for you. Read the tutorial here. If textiles are your artistic medium of choice or you just love sewing, then this is a fantastic way to store your materials. The best part is, it will only cost you a few bucks and it won't take up much space at all. Visit Love 2 Dream, Do You? for the step-by-step instructions. Love 2 Dream, Do you? Cooling racks don't have to be for something solely practical--they can be decorative as well. 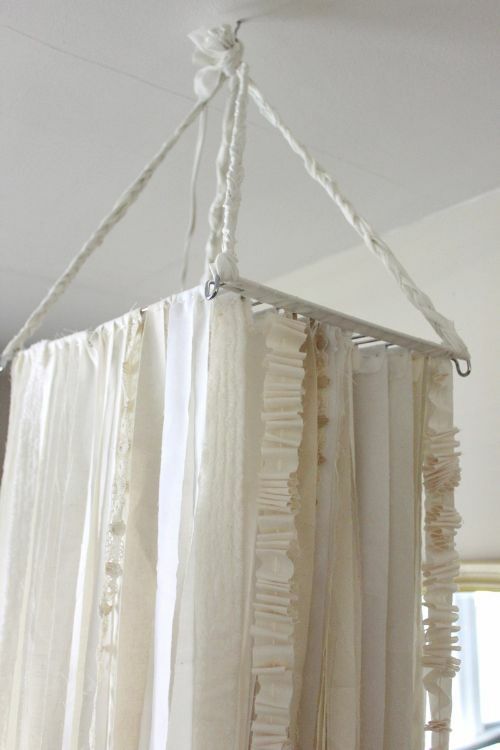 Try out this idea of a hanging fabric chandelier to add a little flair to your bedroom. 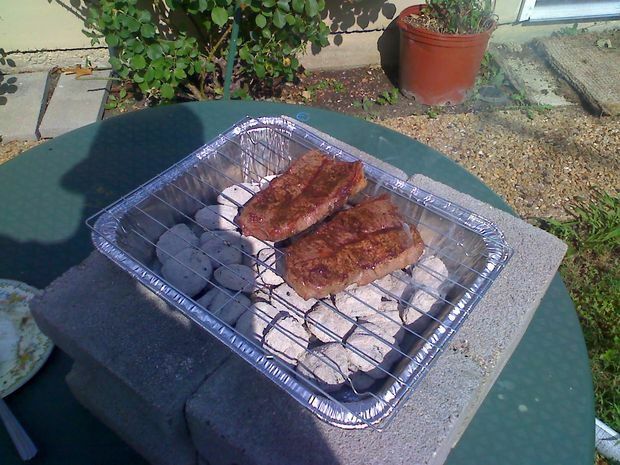 Summer BBQs don't have to involve going out and buying an expensive grill. With just a few things from a discount store, you can have an amazing steak or juicy burgers in no time. This memo board is even more versatile than a cork board. 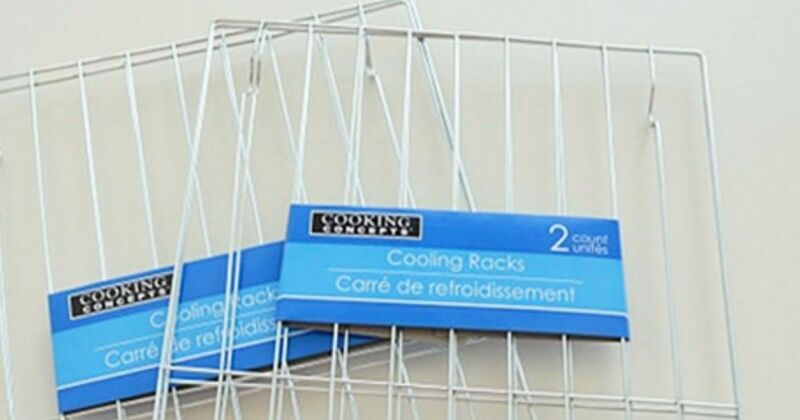 Use the slats on a cooling rack to hold photos, notes or recipes. 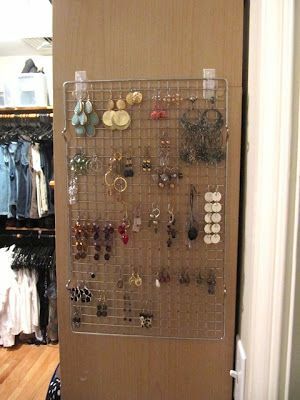 This would be a smart idea for a kitchen or dorm room. Learn how to make one here. Weaving is a wonderfully relaxing activity. It's also a great way to make beautiful objects for your home. 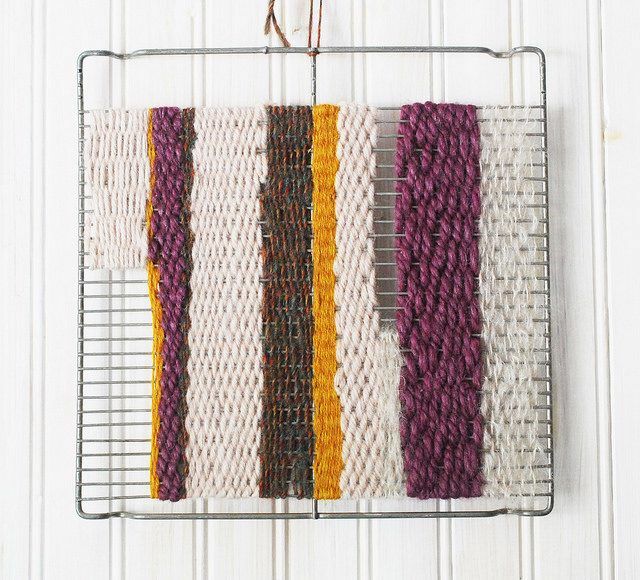 Learn how to weave using a cooling rack by visiting Wild Olive. Now, this is a real creative kitchen hack. If you're big on meal prepping, chances are you're cutting up a lot of fruits and vegetables at one time. Instead of cutting up each individual banana, try this hack instead. Using a cooling rack to slice your bananas, you can cut up a few at once and make meal prepping a lot more fun. Don't forget to share this list of life hacks with your friends on Facebook and Pinterest!